I considered a punning title for this article (something like "Czech this out ..."), but abandoned that idea. This is significant news and I don't want jokes to obscure the significance. First, however, let's briefly review the story of Czech "absinthe," or "absinth," or "wormwood bitters." There seems to be little or no historical evidence of Czech absinthe (whatever the spelling) before the 1990's. A representative of the Hill's family said he would try to find such evidence for the Wormwood Society, but that never happened. Oliva have placed some interesting documents on their website. Other than that, I am not aware of anything. 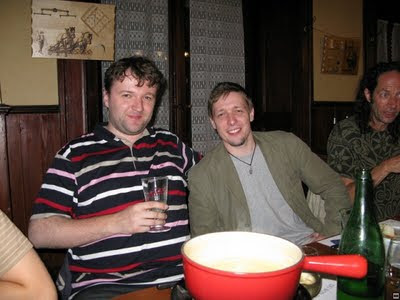 I visited Prague in 2004 and 2005, and found no evidence of Czechs drinking absinthe. "Absinthe" was primarily for the tourists and seems to be so to this day. 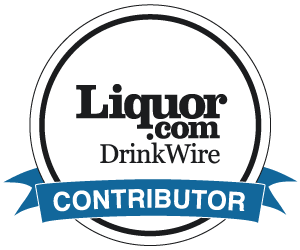 I have subsequently debated absinthe online with some Czech "absinthe" protagonists, primarily with absintheur/drabsinthe etc, but they have virtually disappeared since late 2007. 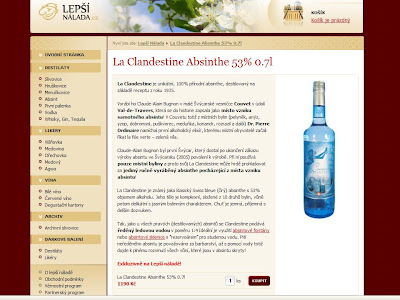 Instead, a new generation of real absinthe lovers have appeared in the Czech Republic, who discuss absinthe on AbsintheMafia.com, who have access to first-class information on absinthe-cz.com, and who now even produce a real absinthe, St. Antoine! I had the pleasure to meet Martin Zufanek (the man behind St. Antoine and AbsintheMafia.com) and Stefan Habulinec (the man behind Absinthe-cz.com) at the Annual Absinthe Festival in Boveresse, Switzerland in June. They were obviously there to meet others in the Absinthe world and to learn, and I am sure that we can also learn from them. We tasted the second batch of St. Antoine and those in the know say that Martin has obviously learnt much over the last few months. has become Absinthe of the Month at Alandia! Only time will tell how significant these two developments are. Czech absinth is already available in the USA, with Koruna due at Drink Up New York soon. The third batch of St. Antoine has now been made and will be released in December. And of course St. Antoine is already approved for US launch. Will Czechs embrace real absinthe, whether it be La Clandestine or St. Antoine? The members of AbsintheMafia.com seem keen to do so, but the bar owners of Prague may, at least in the short-term, find other locally-made products easier and more profitable to sell. In any case, these two events are two interesting breakthroughs. And if they stop me making puns in this article, that's probably further cause for celebration. This is such great news, I am sending out a tweet right now. Absinthe mafia needs to adopt some more family members.